Let little ones show off their own superhero skills with this Iron Man Pinata. 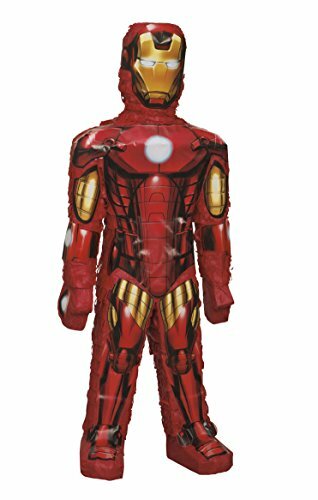 With its realistic, 3D design of Tony Stark himself, this party pinata will make an action-packed addition to any superhero party or Iron Man birthday party. Simply hang this birthday pinata from the ceiling and let partygoers take turns hitting it to reveal the hidden goodies inside (sold separately). Best of all, this pinata doubles as not only a fun party game, but also as a super-powered party decoration that little superheroes will love.